Carnlough’s new £100k Heritage Hub officially opens. 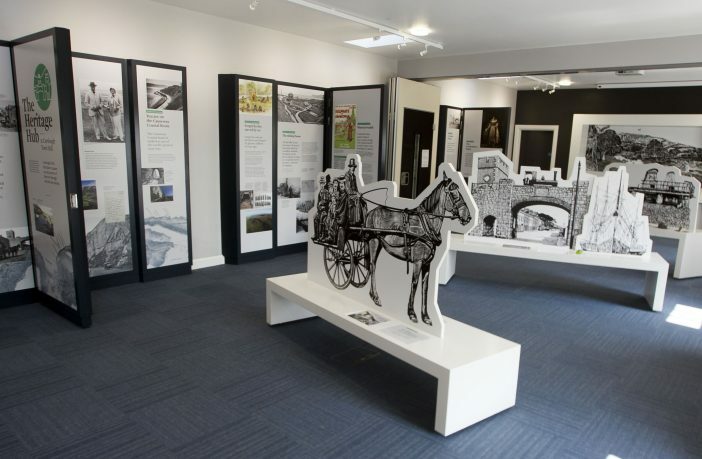 Visitors from Carnlough and further afield have been treated to the fantastic new stories on show at Carnlough’s Heritage Hub. 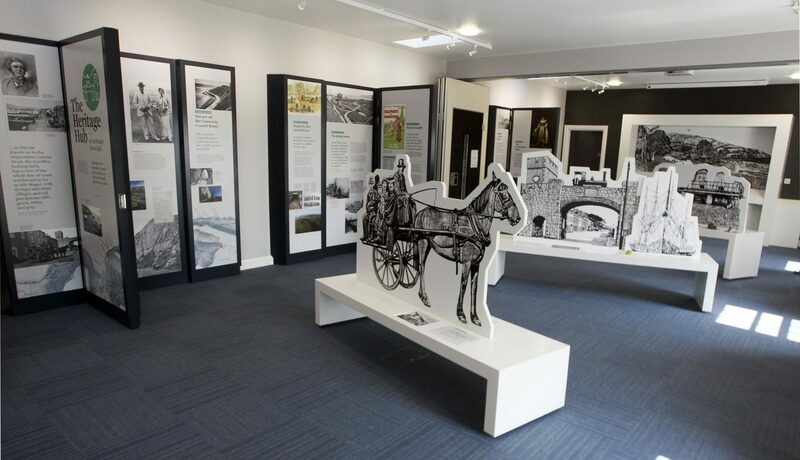 The new exhibition at the Town Hall is the result of an investment of over £100,000 funded by the Heritage Lottery Fund and Mid and East Antrim Borough Council. 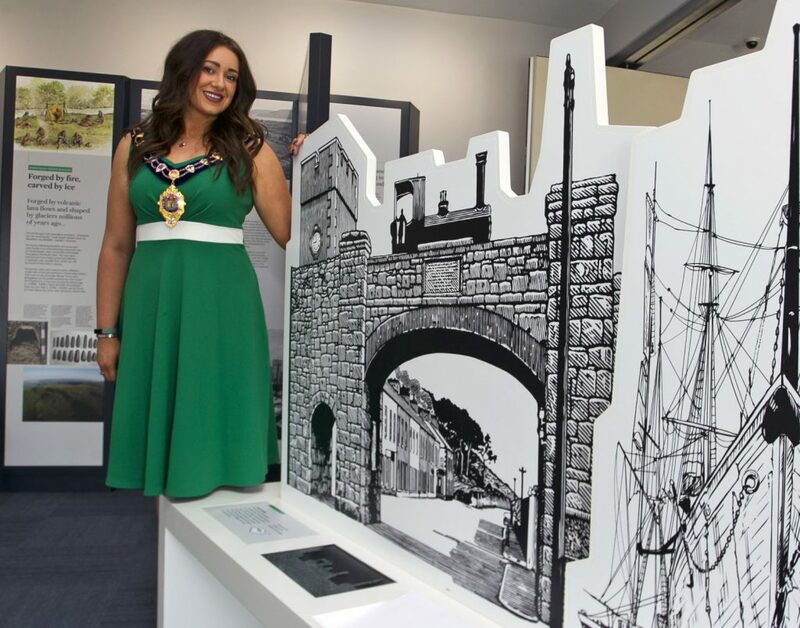 The display celebrates Carnlough’s harbour, its maritime connections, the area’s beautiful scenery, geology, wildlife and natural resources. It also explores the history of settlers from the Stone Age to industrialists of the 18th and 19th Centuries. Mayor of Mid & East Antrim Council, UUP Cllr Lindsay Millar takes in the sights of the exhibition. The space inside the Town Hall will be used as a flexible community meeting space and for exhibitions on industrial heritage, geology and natural heritage. It’s hoped that the displays will boost self-guided tourism in Carnlough and encourage visitors to explore what else the Glens have to offer. The new hub was officially launched at the Londonderry Arms Hotel and featured a specially commissioned performance called ‘Bridges’ by the P5 class of St. John’s Primary School. Cutting the ribbon, Mayor of Mid and East Antrim Cllr Lindsay Millar said, “It’s wonderful to see the community coming together and celebrating their history with so much enthusiasm. The support given by the Heritage Lottery Fund, made possible by money raised by National Lottery players, has been fundamental to this project which provides a multi-use space, celebrating local heritage. 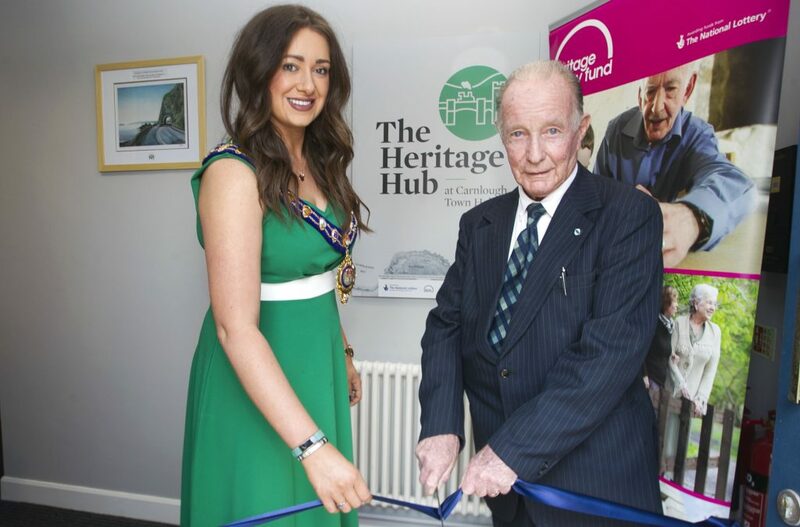 Mayor of Mid & East Antrim Council, UUP Cllr Lindsay Millar, pictured along with John McNeill cutting a ribbon to mark the official opening at The Heritage Hub Carnlough. The exhibition is now open to the public from 2pm-5pm every Sunday until the end of September as well as 2pm-5pm every Saturday from July until the September 8. For room booking information please telephone Carnlough Community Association at: 028 2888 6188 or E-mail: carnlough@live.com. The Carnlough Industrial Heritage Hub project is led by Mid and East Antrim Borough Council in partnership with Carnlough Community Association and the Causeway Coast and Glens Heritage Trust.